A unique barcode, that when scanned with a smartphone with QR scanning software/app, quickly directs customers to a specific webpage or contain a phone number, an SMS message, designed with a targeted message. A QR Code can be placed on a piece of media – a postcard, marketing collateral, outdoor signs and more. Scan the QR Code with a mobile phone, and software will decode the QR Code. Instantly directing to a website, mobile website, or even a special offer code for a coupon. QR codes should be a part of any mobile marketing campaign, as they give companies the opportunity to provide interesting, engaging and relevant content to current and potential customers in a whole new way. 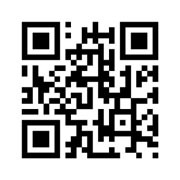 Contact us today for more information on QR Codes!